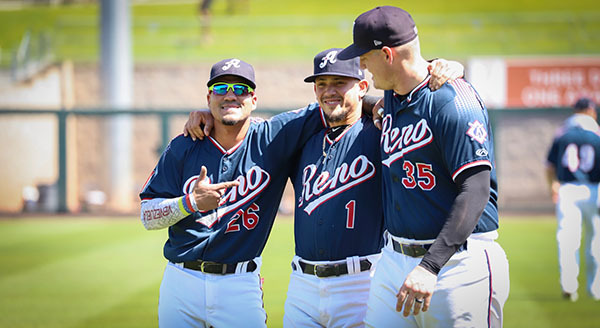 Reno Aces infielders Juniel Querecuto, Ildemaro Vargas and Kevin Cron are all smiles before the start of the final game of the season on Monday before a Labor Day crowd of 4,186. 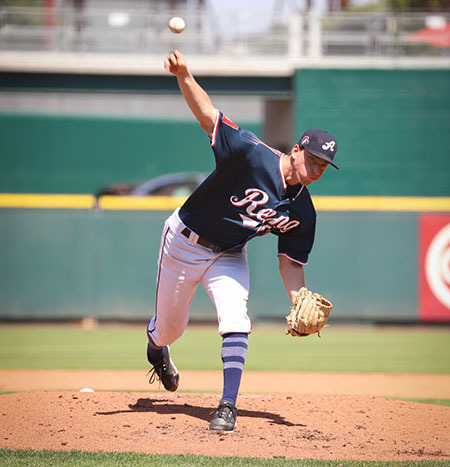 The Reno Aces finished their season in a game typical of most since the All-Star break: Pitcher Taylor Clarke was outstanding, shortstop Ildemaro Vargas received a standing ovation and the Aces were victorious. The Aces defeated the Albuquerque Isotopes 8-3 at Greater Nevada Field, completing their eighth winning season in 10 years in the Biggest Little City. Reno finished with a 72-68 record, going 30-20 since the All-Star break. The Aces averaged more than 5,000 fans a game, and 4,186 turned out on a warm, sunny Monday Labor Day. “From a team standpoint, where we were after five weeks, 11 games under .500, going from that to playing the way we did, finishing over .500, I’ll take that as a positive,” second-year Manager Greg Gross said. Fun-loving and amiable, Vargas was a fan and player favorite. He set the franchise record with a 35-game hitting streak. On Tuesday, Vargas was promoted to the Arizona Diamondbacks. Vargas drew a walk in the bottom of the third inning. Gross removed him for a pinch runner in order to have the 27-year old receive a standing ovation from the crowd. Clarke improved to 13-8, striking out five and walking two and allowing six hits over five innings. Six Aces were called up to the Arizona Diamondbacks on Sept. 1 when major league teams rosters could expand to 40. Dbacks officials attended Monday’s game, no doubt to inform more players of their promotion. Arizona is in a close division race with the Colorado Rockies and Los Angeles Dodgers. Recker talked about the Aces stretch run. 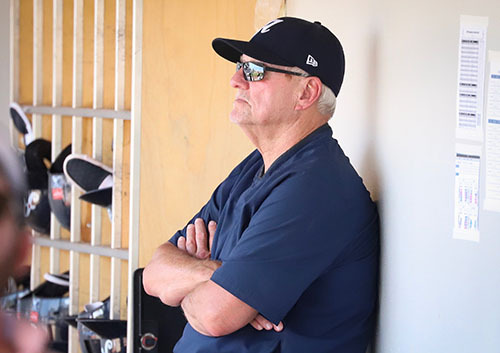 Notes: Gross, the third manager in Aces franchise history, said he wants to return next year. He was the team’s hitting coach from 2013-2017. … The Diamondbacks called up seven Aces on Sept. 1: Pitchers Jimmie Sherfy, Matt Koch, Silvino Bracho, outfielder Socrates Brito, second baseman Chris Owings and catcher Chris Stewart, who was acquired from Atlanta on Aug. 31. … Aces left fielder Tyler Ladendorf set the tone of the game in the first inning by making a fearless catch down the left field line before crashing into the padded wall, and then ripping a line drive single. … Catcher Alberto Rosario put Reno up 6-2 with a two-run homer. … Veteran first baseman Cody Decker had a pinch hit double to right field in his final at bat of the season. … The 2019 schedule has been released. The Aces will play home games on Memorial Day and the Fourth of July. … Vargas’ 35-game hitting streak was impressive, but the PCL record was never threatened. Joe Dimaggio was a teenager when he hit safely in 61-straight games in 1933 for the San Francisco Seals. Related story: Anthony Recker mulls retirement. Taylor Clarke is consistent in winning the final game of the season. 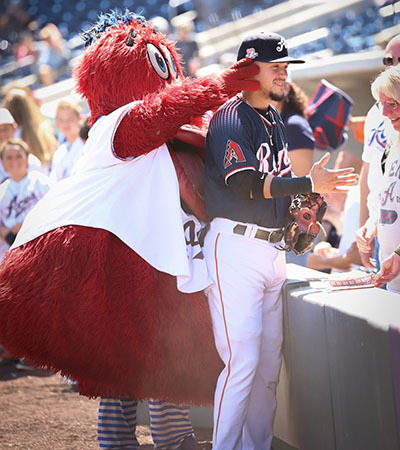 Aces mascot Archie messes with Vargas before the game.